Fourth Row Center: Film Writings by Jason Bailey: In Theaters: "The Raid: Redemption"
Note: This review was written at the Sundance Film Festival, where the film was shown under its original title, "The Raid." I'm keeping that title intact, because I'm stubborn. This is also why I refuse to call The Rock "Dwayne Johnson." The script is primarily an engine to get from one electrifying set piece to the next, but it wrings a fair amount of ingenuity out of its inverse Assault on Precinct 13 setup, and Evans has the good sense to create not one, but two chilling villains to augment the parade of disposable bad guys. His leading man, Iko Uwais, has got the cool charisma and graceful athleticism of a young Jackie Chan—you believe he could take on this army of thugs and come out on top. 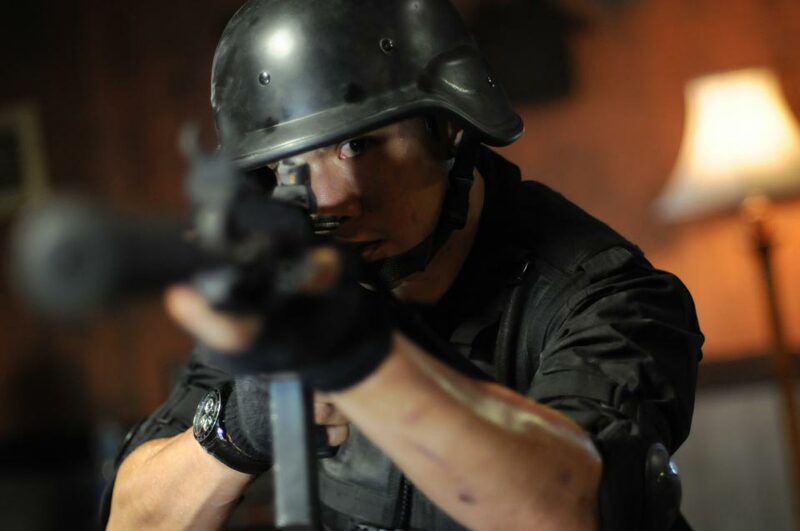 "The Raid: Redemption" is out tomorrow in limited release.